Shopping for Happy Days Action Figures? One of the most popular TV shows in history, Happy Days debuted in 1974 and ran for a decade. Now Happy Days fans can celebrate all new action figures! 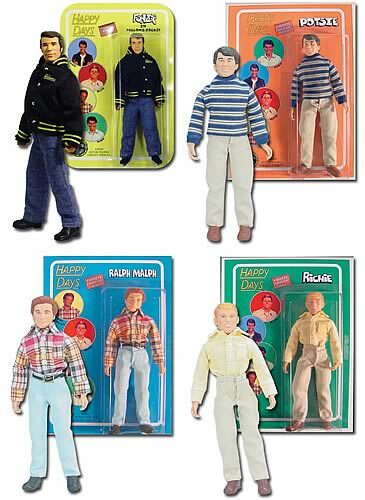 This set of 4 individually packaged 8-inch action figures includes: 3x Fonzie in Falcon's Jacket, 3x Potsie, 3x Ralph Malph, and 3x Richie.